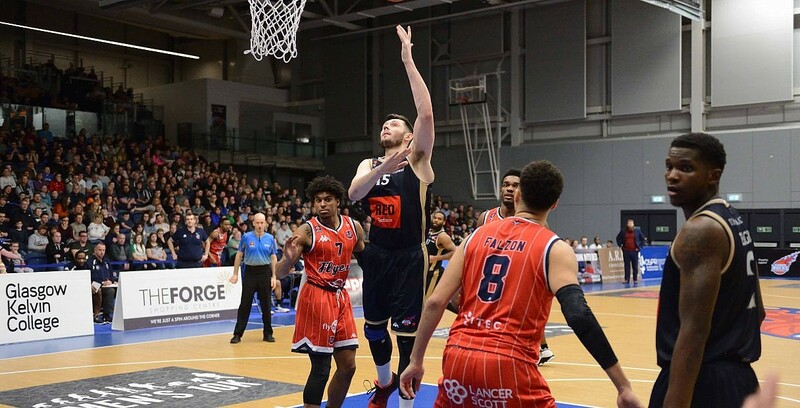 Radisson RED Glasgow Rocks continued their unbeaten run this month with victory over Bristol Flyers, on BBC Sport. The Rocks’ only defeat of 2019 so far came in the Cup Final and after moving level at 8-9 with the Flyers, they turn their attentions to the BBL Trophy Semi-Finals. Turning point – The Flyers came out firing in the third having been 11 down at half-time as they knocked down five straight threes in a 15-3 burst to take a 53-57 lead. However, the Rocks also got hot from downtown and a strong 10-2 finish made it an eight-point game ahead of the fourth and pulled clear for the win. Key stat – Bristol hit six straight threes in the third and finished 14 of 28 from downtown, but the Rocks were even more clinical as they shot at 56% from 3-point range. Game hero(es) – Pryor led a balanced attack with 18 points and five assists in the win as six players in total hit double figures for the home side.